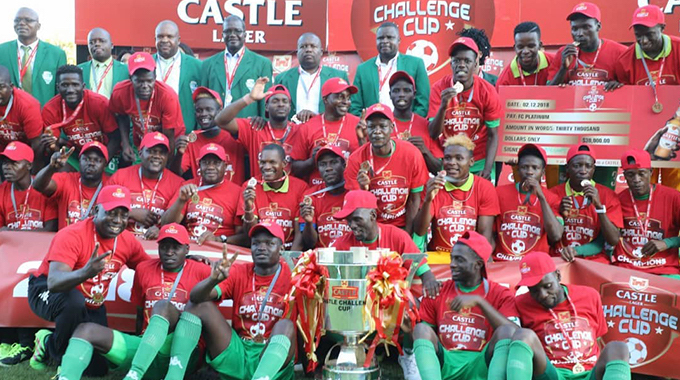 THERE is no rest for Zimbabwean football champions FC Platinum as a day after successfully defending the Castle Challenge Cup, they were back at training preparing for a Caps Champions League preliminary round, second leg fixture against CNaPS of Madagascar on Wednesday. 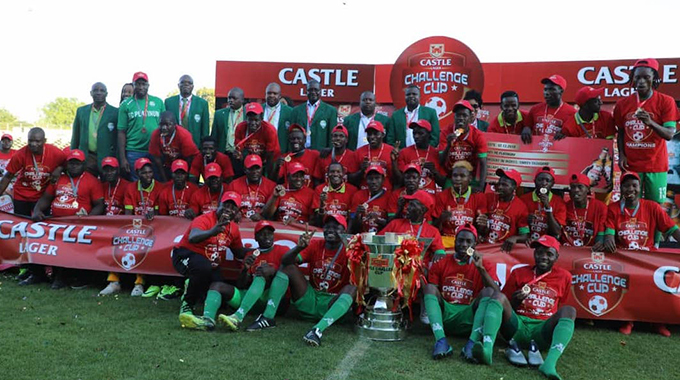 FC Platinum defeated Triangle 2-0 in the Castle Challenge Cup at Mandava Stadium on Sunday, with the goals coming from William Stima and Thomas Chideu to make sure that the trophy, which was accompanied by a cash prize of $30 000 remains in Zvishavane. While Triangle and other Zimbabwean teams are enjoying the season break, it is not the same for FC Platinum. Barely hours after beating Triangle, were FC Platinum back at Mandava on Monday morning to prepare for the clash with CNaPS. The Zimbabwean champions are sweating on the fitness of star defender, Kevin Moyo who was substituted on Sunday with a knee problem. Norman Mapeza, the FC Platinum coach said they will make a decision on Moyo’s availability on Tuesday. “”Kevin Moyo is not ok, he has a knee problem, we will assess him again tomorrow (Tuesday) then we can make a decision,’’ Mapeza said. FC Platinum held CNaPS to a 1-1 draw in a match played in Antananarivo last Wednesday and are looking to progress to the first round of the competition. All they need is a goalless draw or a 1-0 triumph to progress to the next stage.